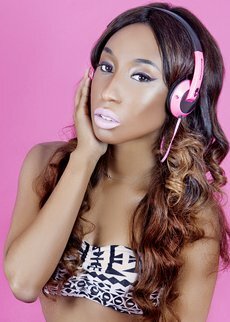 Female DJ duo ‘The Glitter Beats’ announced their arrival on the London music scene in the summer of 2013. DJ Tommy Tayla and DJ Yuki Love have combined their musical talents delivering hands in the air sets to the trendiest crowds in the capital. From just one glance at these girls behind the decks, it is obvious that The Glitter Beats DJs absolutely love what they do. 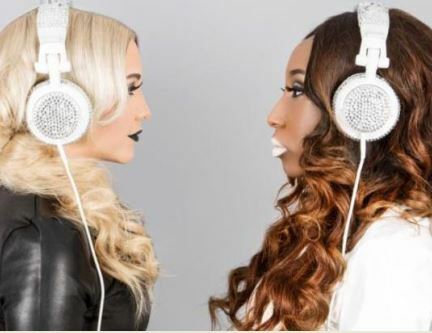 Their energy is infectious and drives the crowds they play to, they don’t just simply mix music, DJ’ing for them is a performance and during their sets you can see the girls constantly interacting with the crowd and creating an electrifying atmosphere, whether in a club, at a private event or fashion show. 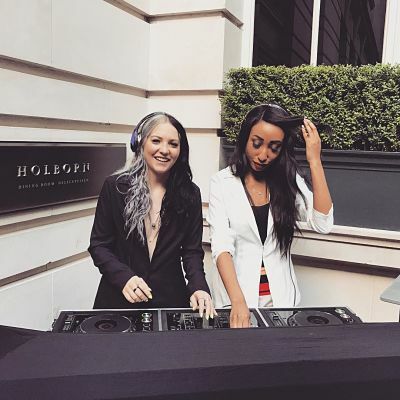 Recently confirmed as the official DJ’s of High Street Fashion Week The Glitter Beats DJs have been seen spinning the decks across London performing sets at brand and media launches including Easilocks, Celeb Boutique, La Senza, Made In Chelsea fragrance and Fabulous Magazine where the girls were the star attraction at the Fabulous Fashion Awards. 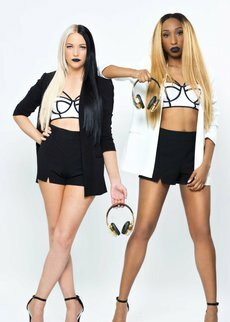 Although at first glance they may appear very different, the fusion of Tayla and Vanessa’s cultures, tastes and style gives them their unique edge and is what gives their mixes such a distinct eclectic sound. Like their favourite DJ’s, Nervo, Avicii and Tiesto, the girls constantly mix a wide variety of music and styles; perhaps best known for their energetic electro and commercial house sets, they shape their sets depending on what their audience wants to hear and what will fill the dance floor. With gigs booked both nationally and internationally for next year as well as having secured numerous hosting spots, the future is set to be huge for The Glitter Beats DJs. With their passion and flair for music and fashion, allied with their down to earth nature their aim is to keep enjoying what they do, entertain their audiences and build the ‘The Glitter Beats’ brand to become synonymous with cutting edge music, parties and fashion.